Most of us dream about fashion and shopping. Where is the right place to do that? Of course, fashion cities in Europe. First of all, Europe has the most beautiful places, theaters, museums, galleries, and finally, the best fashion scene. Fashion is art. Just think about clothes, perfumes, jewelry, and accessories. You cannot visit the city, without visiting the boutiques, and fashion museums too. Clothes aren’t just clothes, it is a lifestyle, also it shows your personality. Fashion cities in Europe are full of boutiques, so you will be excited. Even if you don’t know anything about it, you can’t be in the fashion city and don’t see the famous shopping streets and malls. 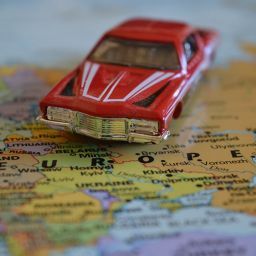 Shopping and fashion – Europe and fashion, inexhaustible connection. 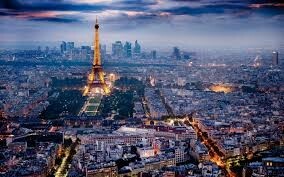 Fashion cities in Europe are the most popular in the world. The Eiffel Tower, The Louvre, Luxembourg Gardens, and Notre-Dam, there are plenty of sights to see, but on the other hand, you must not forget the shopping streets, such as Rue du Faubourg Saint-Honore, Avenue Montaigne and Avenue des Champs Elysees, where Vuitton has set up its largest store. The shopping malls, Le Bon Marché, Printemps and Galeries Lafayette. In these streets and malls are famous boutiques, such as Gaultier, YSL, Givenchy, Cartier, Hugo Boss. In the 1800s, “fashion parades” periodically took place in Paris couture salons. You don’t have to spend a lot of money on shopping. Do not forget, you cannot buy a style. If you don’t want just to shop, as well, you want to learn about fashion and its history, visit the fashion museum, Palais Galliera. Certainly, this fashion city in Europe will make you speechless. Paris, the city of light and fashion. The most famous and influential designers were born in France, Rene Lacoste, Jean Paul Gaultier, Christian Dior, Jeanne Lanvin, Coco Chanel, Cristian Louboutin, Yves Saint Laurent, and their first shops were in France. Fashion in Europe is constantly evolving. Another city is London. When you say London, someone thinks about The Beatles, tea, Queen Elizabeth. But, there are people, whose first thought is the city of fashion in Europe. In the mid-twentieth century, various London designers have found their inspiration in street-level creativity. Westfield London is a large shopping center where you can find everything you need, and Harrods, a luxury department store. Bond Street and Mayfair are the ideal places to go for some extravagant retail therapy. Also, if you want to discover fashion and materials, the Fashion and Textile Museum is a popular destination. At the London College of Fashion, is the Fashion Space Gallery. This European fashion city will blow your mind. 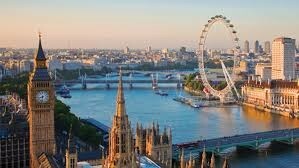 London is the city you have to visit, but maybe when you feel his vibe, you will move to London and be part of this fashion European city. London, European city, full of opportunities. 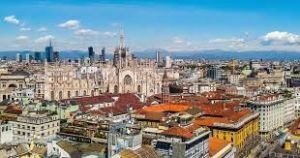 Milan is the capital of Lombardy, and after Rome, the most popular city in Italy. In the 1950s and 60s, as the main industrial center of Italy, Milan became a world capital of design and home to the most prestigious shopping streets, Via Monte Napoleone, Via Della Spiga, Via Sant’Andrea, Via Manzoni and Corso Venezia. The most famous Italian fashion brands, such as Valentino, Gucci, Versace, Prada, Armani, and Dolce & Gabbana are there. One of the famous fashion weeks is in Milan, two times a year. There are many fashion weeks around the world, only four are known as the “Big Four”: Paris, Milan, London, and New York. Milan justifiably became one of the top fashion cities in Europe. Milan, a synonym for fashion and shopping. All roads lead to Rome. Italy, home of pizza, pasta, and high fashion. Rome is also home to one of the world’s most famous fashion schools— Accademia di Costume e di Moda. Beautiful shopping streets Via dei Condotti and Via del Governo Vecchio, are packed with trendy boutiques and vintage shops. Via del Corso, one of the city’s longest streets, is located right in the historic center of Rome. 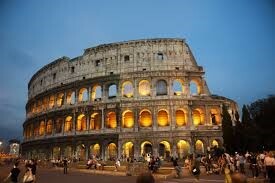 Rome is one of the oldest cities in Europe, so you will have a special feeling there. Rome is the city where you cannot be bored. Sagrada Família. 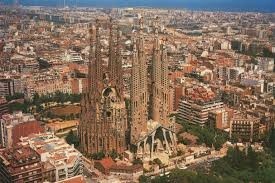 Barcelona is a new fashion city. Finally, Vienna, the largest city, and capital of Austria. Art and culture had a long tradition in Vienna, including theater, opera, classical music, and fine arts. Helmut Lang was born in Vienna. The best fashion boutiques in Vienna, We Bandits, ebenBERG, Eigensinng, Unikatessen, are made for you if you love fashion. Vienna’s main shopping street is Mariahilfer Strasse, there’s always something happening. Probably you will stay in Vienna forever. Europe is the best place for vacation, shopping, and living. You can move and start a new life, or raise your family in Europe. 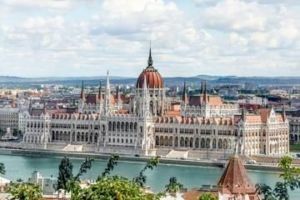 Europe is charming, breathtaking, welcoming continent, and you have everything there. The shopping is not the only thing why you should visit Europe or live there. 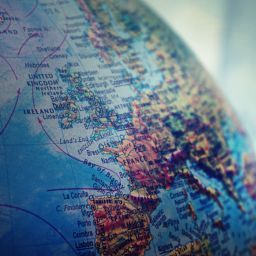 We showed to you the best reasons to move to Europe, you decide where it will be. Enjoy and explore yourself and the cities around you.